You know SHOEB AHMAD, right? Tireless musical polymath, owner of HelloSquare records and the Brick Lane studio in Canberra’s south, an internationally admired musician who has played with a multitude of genre-hopping acts including Spartak, Tangents and Agency. Thing is, as evidenced by their upcoming solo record, Ahmad’s story is richer and more layered than perhaps you’d previously imagined. “quiver” is a record that fearlessly dives into some of the biggest questions a person can ponder, addressing gender, race and religion. It’s a hyper-vulnerable and brave artistic statement from a person ready to open up. The single “masked” dropped earlier this year, and Ahmad is readying the release of the second single romance, with a string of shows to celebrate in November. It’s a magnificently slinky, groove-laden pop record, perhaps another unexpected element for listeners familiar with Ahmad’s collaborative work. “Funnily enough, I started off as a solo performer – mainly because I never really knew anyone else who was into the same music as me – but I’ve always been collaborative in nature when it comes to making music. So I guess when it came to make a proper solo record, I had to figure out if I wanted full control of the songs or if I was creating collages using sounds from others but arranged around a basic song structure from me. I wouldn’t be writing what I do without Canberra’s melancholic autumns or blooming springs, that’s for sure. City pressure just isn’t for me. “That kind of indie pop has always been an essential part of my songwriting in a way – those melancholic melodies creeping their way through jangle or keyboard leads. That drive to create a different, more human kind of sound could be read as a natural extension of the subject matter Shoeb decided to tackle lyrically and thematically. “The move away from electronics to all organic instrumentation ended up tying in with the idea of creating a mask to hide behind as well. “I had something to speak about – not only just for the therapy but also to put myself out there as [someone who is] strong in their vulnerability. What is most notable about this incarnation of Ahmad’s musical output is just how brave and open it is, and how well the work negotiates tough subjects with a sonic lightness. Amongst the emotional and personal upheaval the new work charts, Shoeb Ahmad’s commitment to Canberra remains unchanged. As many contemporaries have left town or shut up shop, Ahmad has stayed put, and believes in Canberra as a vital cultural centre with a reserve of untapped potential. “Canberra still not being rated as a place to stay creatively bugs me a lot. I don’t get it and I don’t understand it. “Musically, it should be Australia’s equivalent to Austin, Chapel Hill or DC because of actual socio-economic demographics, it ticks every box and culturally it does too. “I stayed here because there was nothing better for me in the other cities. I didn’t want to leave a good thing without the promise of something better. The natural space and clean air I’m privy to is more than enough to keep it tight here – a clear mind for inspiration. “romance” is also noteworthy for nailing one of the toughest tricks to pull off in the musical book – a straight ahead adult love song that avoids anything remotely mawkish or sentimental. “I think getting older and being comfortable with it has made me relaxed about how I approach music-making and what I want to do so in that sense, I’m charting/documenting my life year by year. 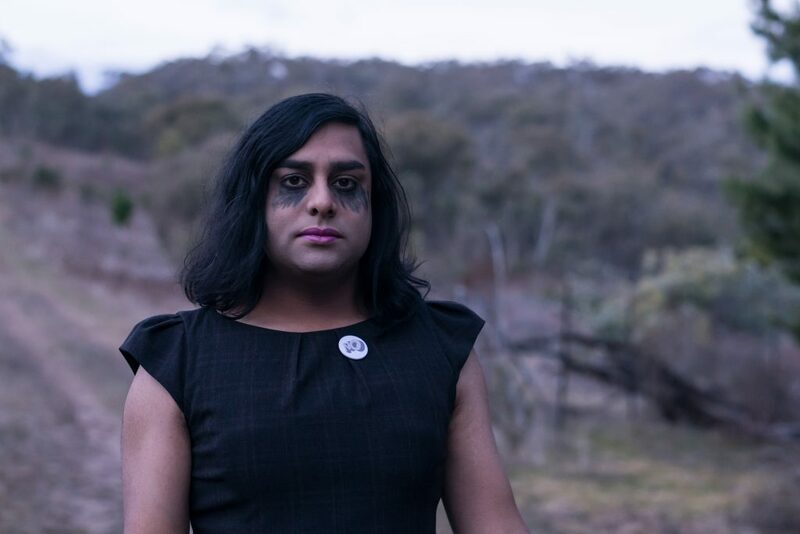 SHOEB AHMAD launches “romance” at Mulgara on Friday November 20, joined by KELLIE LLOYD (Screamfeeder), VIDEO BREEZY and SLEEPING DØGS. Tickets are $10 and things kick off 8pm.